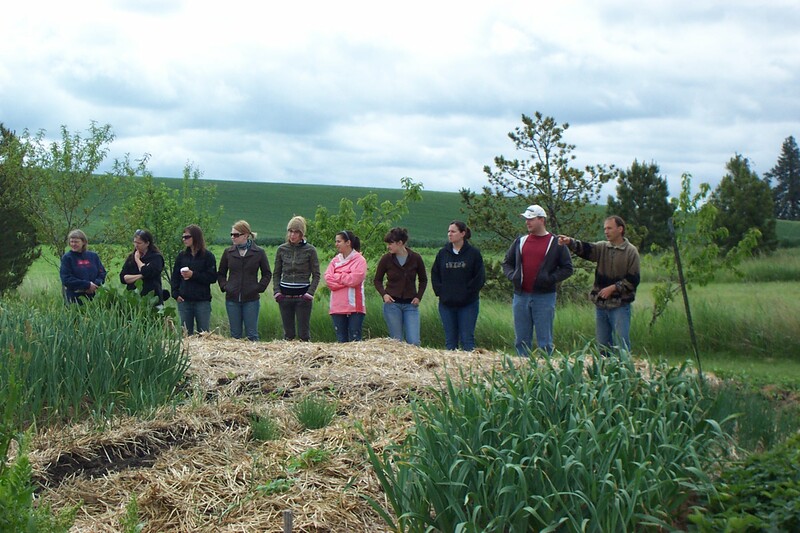 Living Soil Microfarms has two locations, in Genesee and Moscow, Idaho. Both locations have resident gardeners. A large variety of perennial and annual fruits and vegetables are grown. We sell Certified Naturally Grown produce at a local farmers market and through CSA (Community Supported Agriculture) subscriptions. Annual crops are grown intensively in raised beds with an emphasis on hand tools and manual labor. We try to maintain a permanent mulch to nurture soil life and fertility. Our farms are designed and maintained using Permaculture principles, imitating the diversity and efficiency of natural ecosystems. See our planting schedule.